Garber Metrology has been in the business of meeting the bench scale needs of our Mid-Atlantic USA clients for over 35 years. We provide full service platform weighing solutions from small 2lb platform scales interfaced to inventory counting systems to large platform scales utilized to weigh tow motor loads and freight containers. Industries served include manufacturing, pharmaceutical, food processors, chemical and distribution. 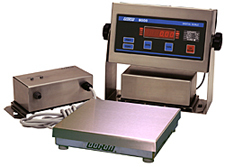 We have available at your service 24/7/365 a competent staff of Technicians with over 200 years of combined experience ready to install, calibrate and train your staff on all of the features and benefits of your bench scale selection. 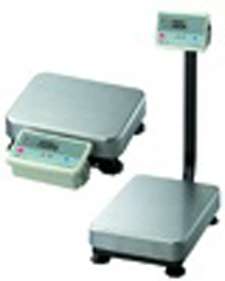 We represent a broad range of styles and options including but not limited to full electronic or hydraulic, carbon steel, powder coated as well as galvanized or stainless steel wash down constructed models from some of the most prestigious manufacturers in the weighing solutions industry including Pennsylvania Scale, Fairbanks, Cambridge, Winslow, Weightronix, Cardinal, Sartorius and Rice Lake. If you are in the market for a new, used or rental bench scale, please contact one of our customer care team members for a personalized review and recommendation for your specific bench scale application.